The ten year fixed rate mortgage saw a surge in popularity in 2011 because the interest rates dropped to 3%. The reality is that most homeowners are not able to qualify for the 10-year mortgage because their debt to income ratio is too high, but if cash flow and credit are not an issue, we strongly recommend locking into a loan now because these are the lowest 10-year mortgage rates ever recorded. 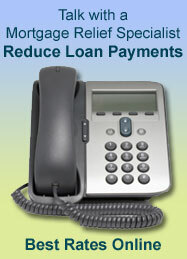 With home loan rates this discounted most borrowers have a genuine opportunity to save lots of money. Lock into a 10-year mortgage for a primary residence or 2nd home. Shorten your term with a 10-year mortgage refinance. Pay off adjustable rate loans with a fixed ten year note. Other mortgage alternatives: The 10 year mortgage has become a popular alternative to the 15 year home loan. 10-year mortgage rates are even low than the 15-year loans, but you must have substantial income to qualify because the monthly payment is significantly higher than the traditional 30-year mortgage. Compare the fifteen and ten year mortgage rates now while money has become so affordable. If you can afford the higher payment of a ten year mortgage, you could own your house in 120 months. In a recent mortgage news article published online, Lead Planet founder and mortgage marketing specialist Bryan Dornan, discussed the emergence of the ten-year mortgage. According to Dornan, "The 10-year home loan is for savvy borrowers looking to maximize cheap money." The Federal Reserve continues to print more money and hold key interest rates at their lowest level ever.